Maideasy is a way for Malaysians to start fresh. Raqib and Linda faced challenging times as one was retrenched from her comfortable job as an IT executive, while the other had to shut down his home appliance business due to change in business environment. Left with nothing to do and a scary prospect of unemployment, Raqib and Linda chanced upon an ad for part time work for Maideasy. The transition from a professional post to a cleaning crew isn’t as smooth as expected, but they took in in their own stride with a positive outlook of the future. 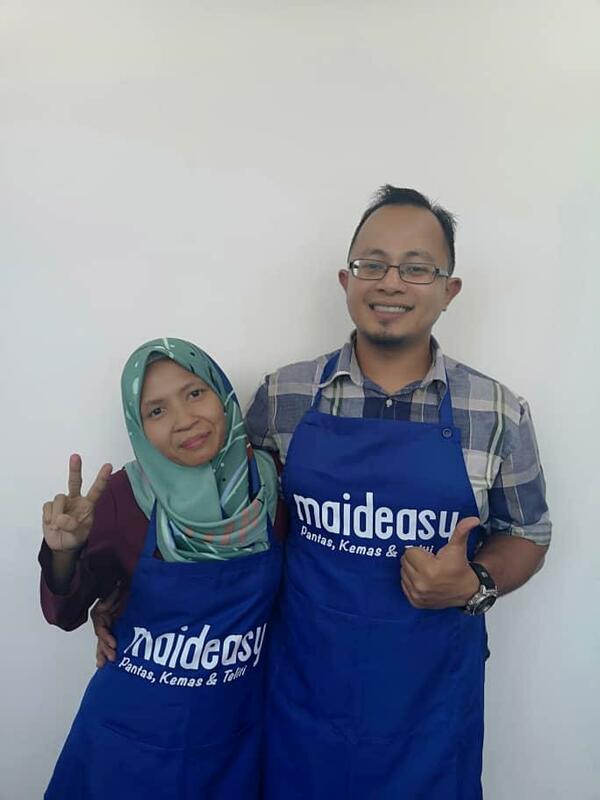 7 months into the job, Raqib and Linda’s confidence resurfaced piling up long term ambitions while saving up with income earned from Maideasy. Their 5 year plan is to start 5 small businesses that will provide them with a passive income. They believe with the work that Maideasy provides, this dream is able to turn into a reality. Good luck!